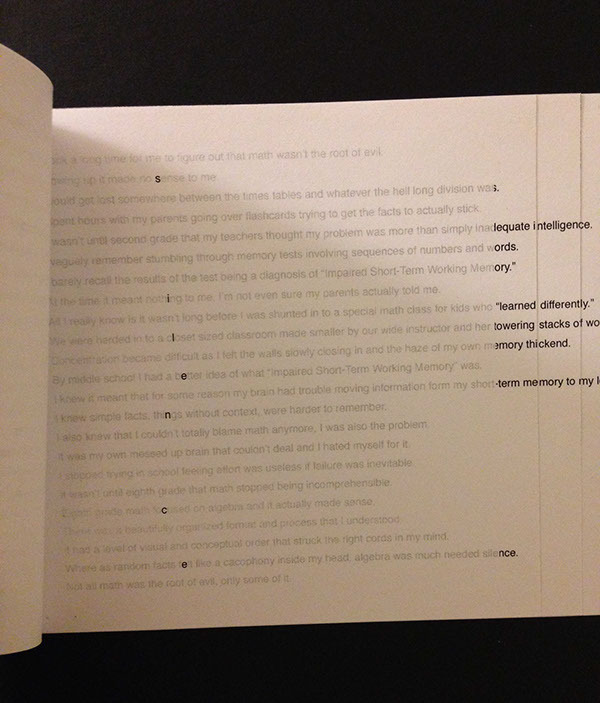 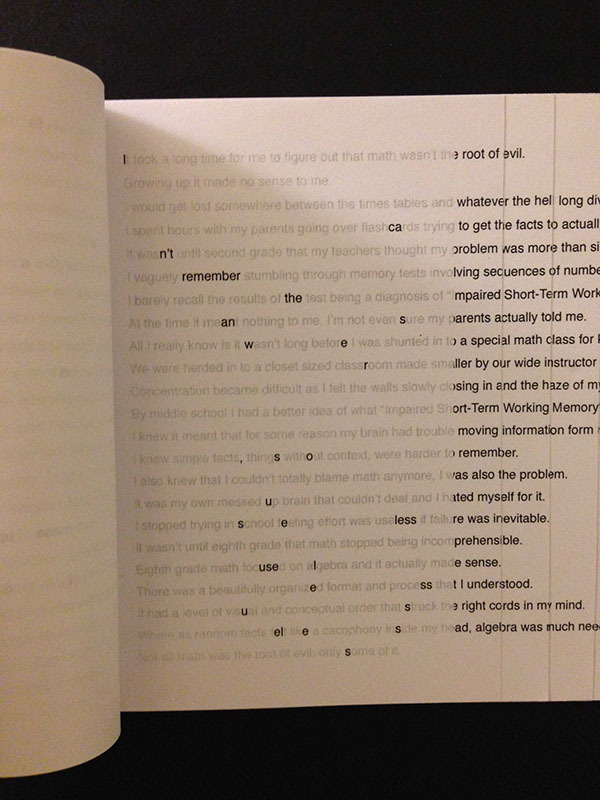 Math and Memory is an artist book/memoir of what it was like to grow up with Impaired Short Term Working Memory. 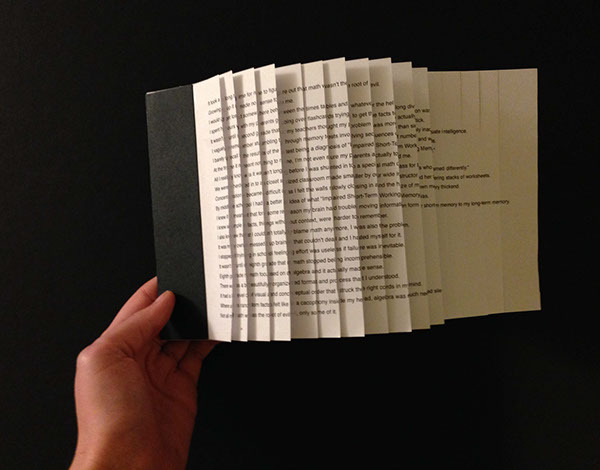 When viewed head on the narrative appears linear, however once pages are turned it becomes more experiential. 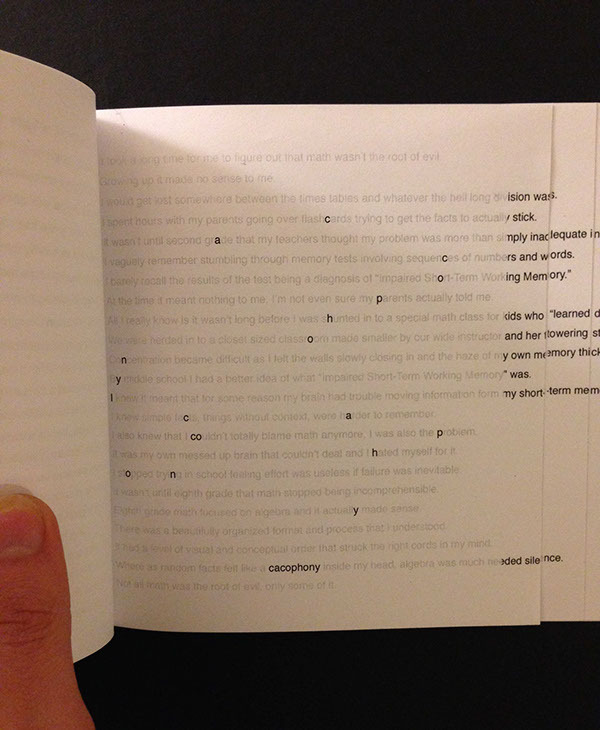 The goal was to convey not only a story, but the experience of having to repeat information over and over in order to retain it. 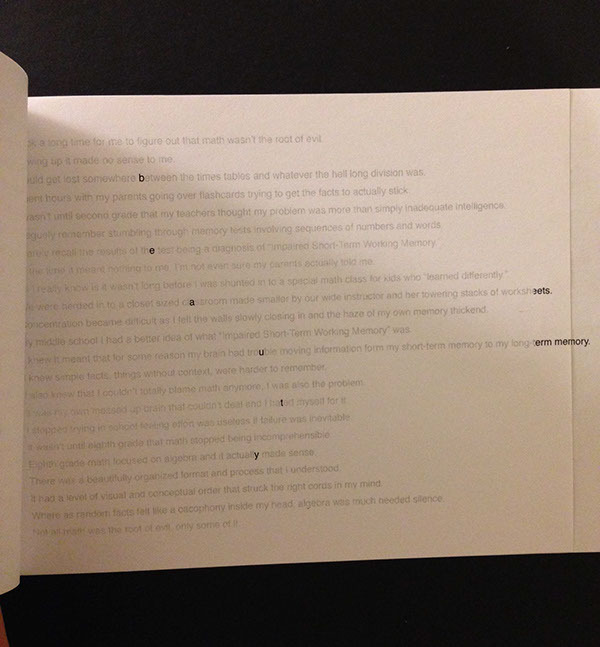 Dimensions: 9.75 by 6 in.